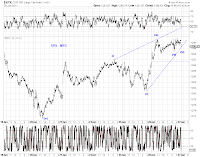  The rebound looks more corrective than impulsive so far in both cash and futures (Chart 1 and Chart 2). It's too early to rule out either one of these possibilities. 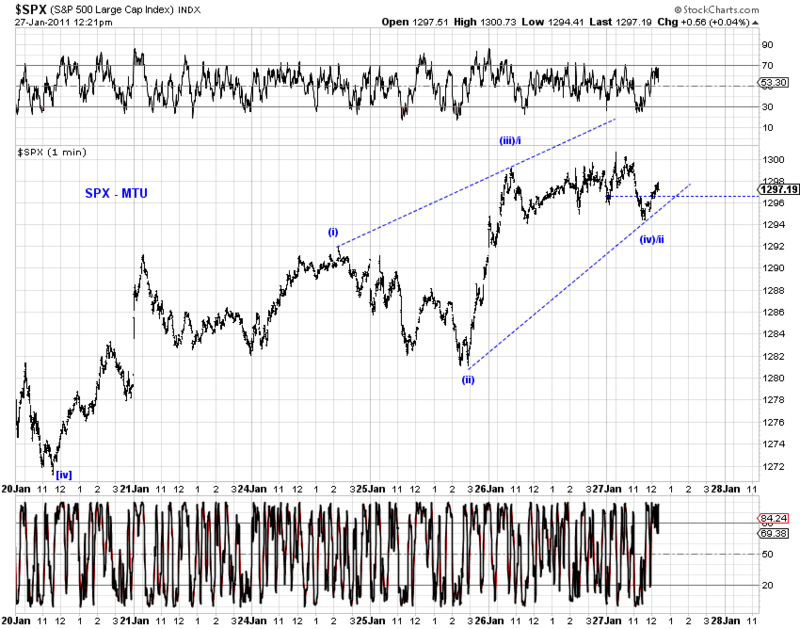 On the corrective count, the rebound is either a 2nd wave if market has topped, a wave b or a wave x. 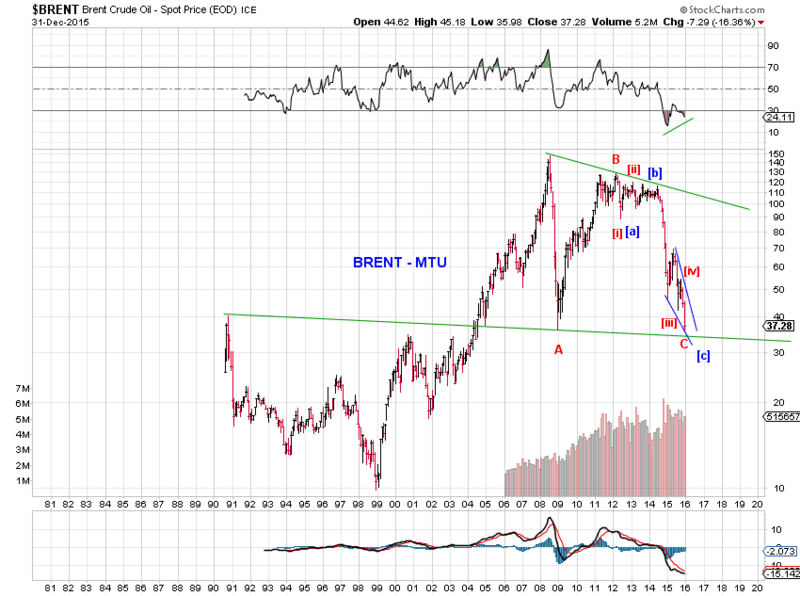 The green count in Chart 3 highlights a potentially overlooked possibility, one that extends the larger degree waves. It's prudent not to rule it out prematurely - beware of extension at a larger degree. 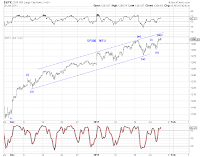 (in addition to the possibility that the dip being [iv] of 5 discussed last week). 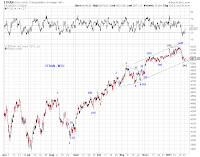 Under that scenario, Friday's low in cash (and Sunday's low in futures) is an expanded flat wave (w) of [iv] of minor wave. 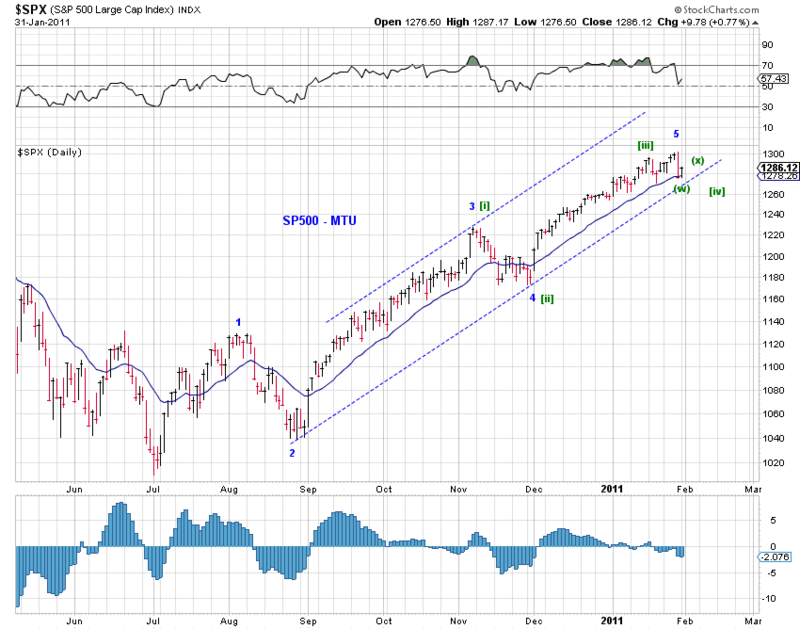 The current rebound is wave (x) of [iv], which can either end below or above the recent high, to be followed by wave (y)-down of [iv]. Not the best looking five down, just an attempt. 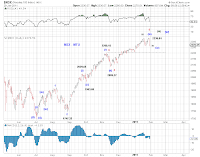 The recent high in the Russell 2000 Index (RUT) is only 48.59 index points (or 6.01%) away from a new all-time high (Chart 1). A new all-time high potentially posts challenges to the wave theory in its current form, as well as to strategic bulls and bears (or permabulls and permabears). 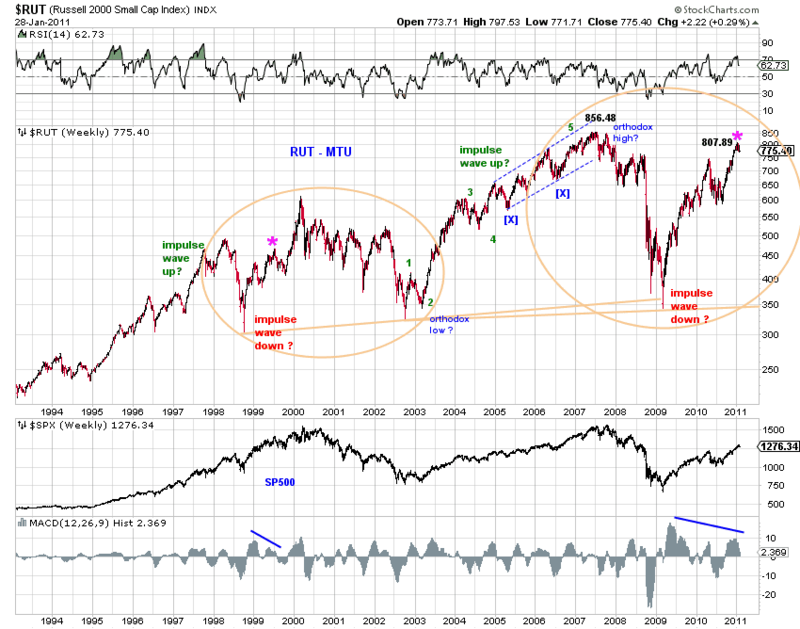 As Chart 1 shows, the 2002-2007 rally and the 2007-2009 sell-off both count well as impulse waves in RUT. A new recovery all-time high introduces the dilemma of a pair of back-to-back impulse waves that end up being effectively a "corrective" structure. 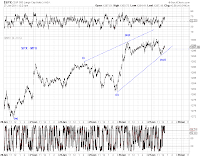 The implications from a new all-time high in the RUT are two-fold. 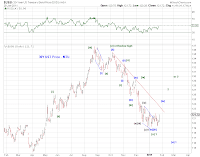 First, if the proposed impulse waves are indeed back-to-back impulse waves, refinement to the wave theory is necessary to accommodate the potential for a full retracement of an initial impulse wave (such as a complex B-wave or X-wave that retraces more than 100% of an initial impulse wave, and an expanded zigzag even?). 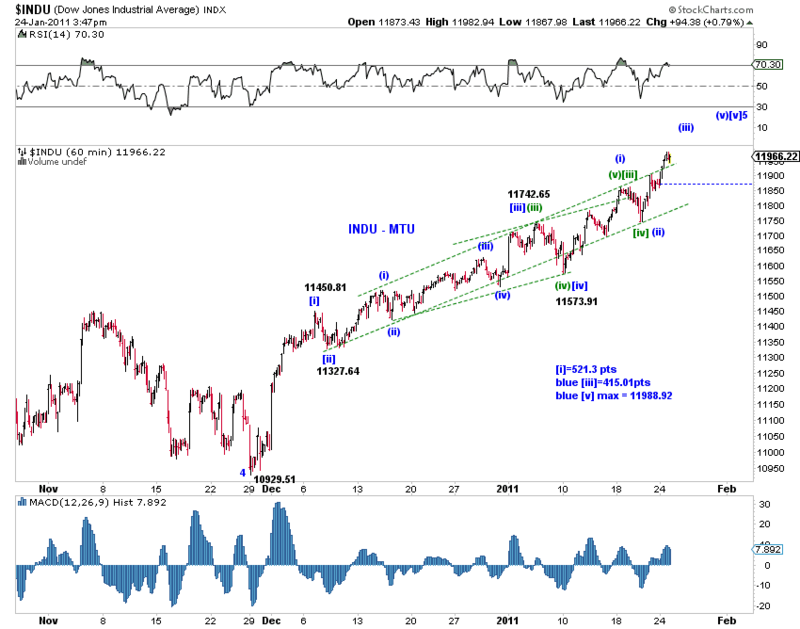 Even if one of these proposed impulse waves is actually a corrective wave (see below) and thereby avoiding the dilemma, wave theory still needs to address a similar occurrence in RUT during the later 1990s. 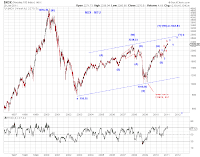 Then, a final impulse wave (1996-1998) had carried the RUT to its 1998 high and another impulse wave had driven the RUT to its 1998 low before the RUT rushed to its Y2K peak. 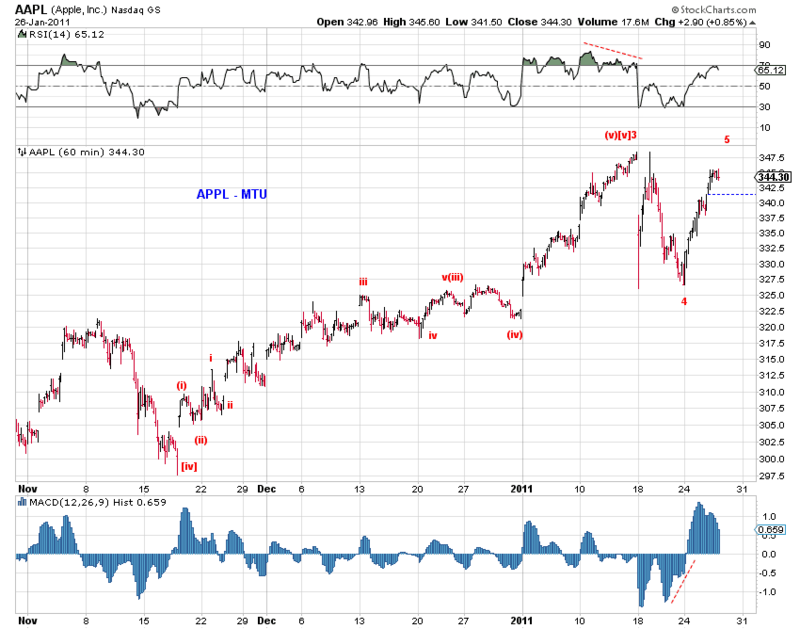 Second, one of these impulse waves is actually a corrective wave. 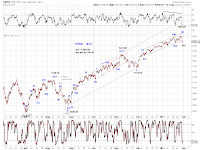 For example, the 2002-2007 rally may be an odd-looking triple three involving rare structures and truncations at both ends (see blue count in Chart 1). 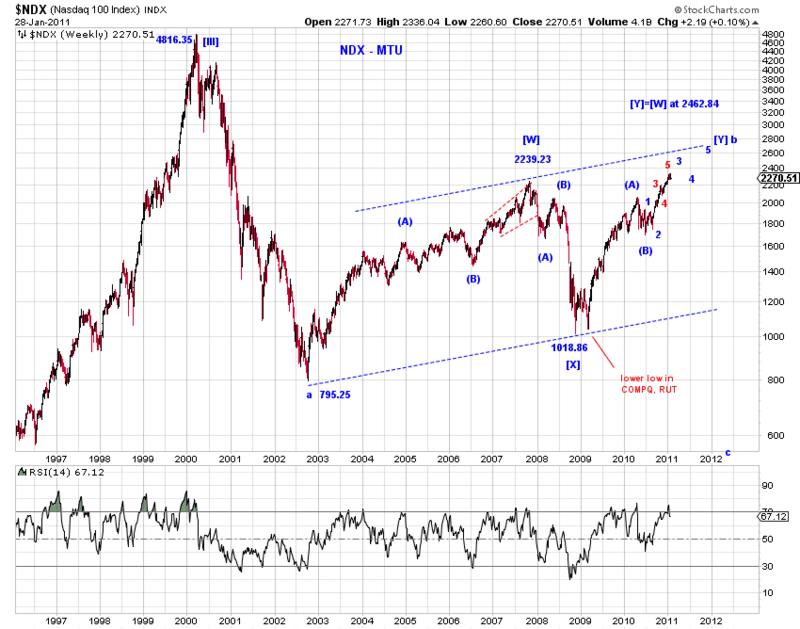 There may be more sensible ways to count the 2002-2007 as a corrective wave. 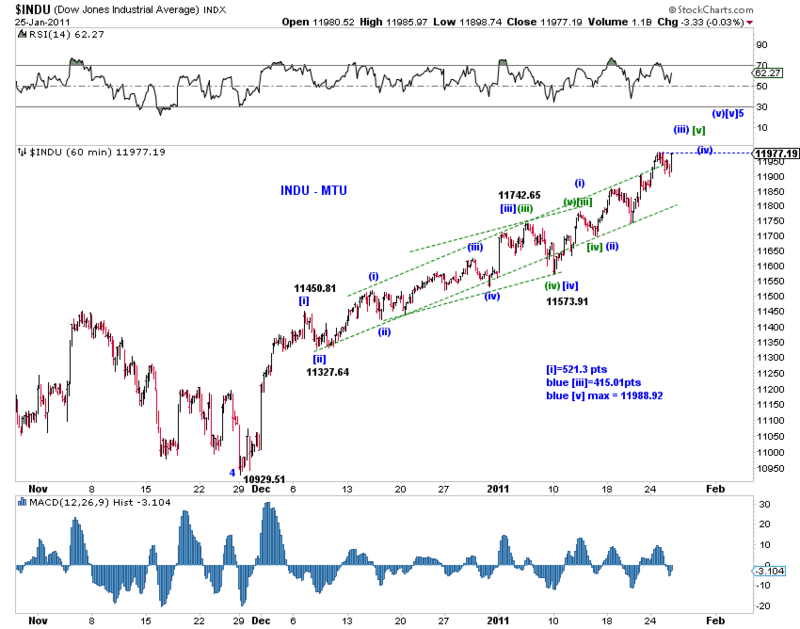 But the point is a corrective wave count for the 2002-2007 rally is at least no more straightforward as an impulse wave count. 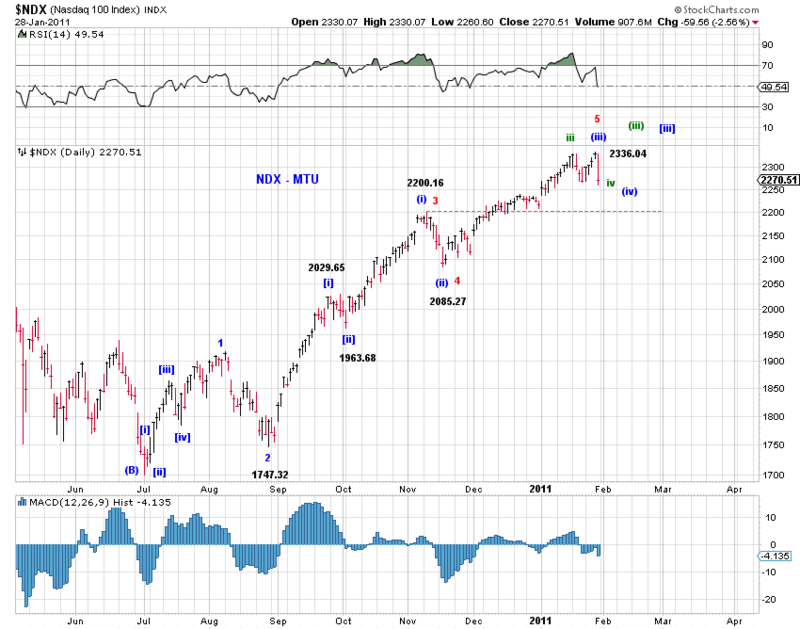 Note that new recovery highs in Nasdaq indexes do not pose the same challenges as their Y2K peaks accommodate this type of corrective rebound (Chart 2). 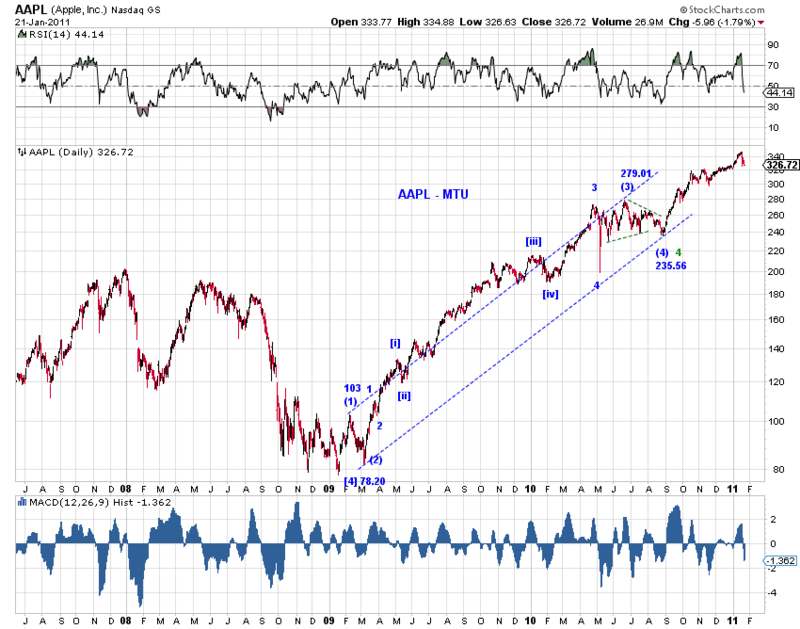 Interestingly, the wave structure in RUT during the dot-com bubble era could be a potential precedent and could offer guidance. 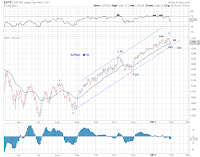 As discussed above, the rally to and the sell-off from the 1998 high is somewhat structurally similar to the rally to and the sell-off from the 2007 high in RUT. 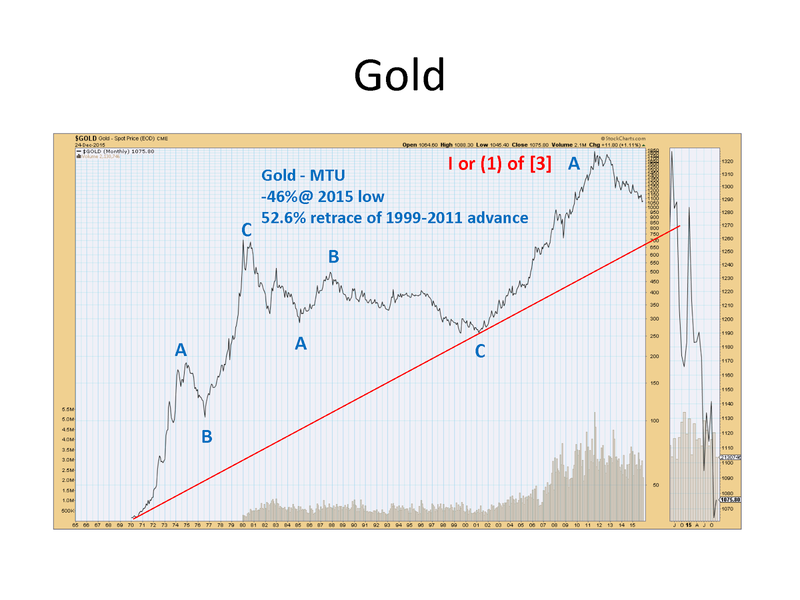 If so, we could have a potential guide for the next 10 years noting that the current time scale is about 3x. 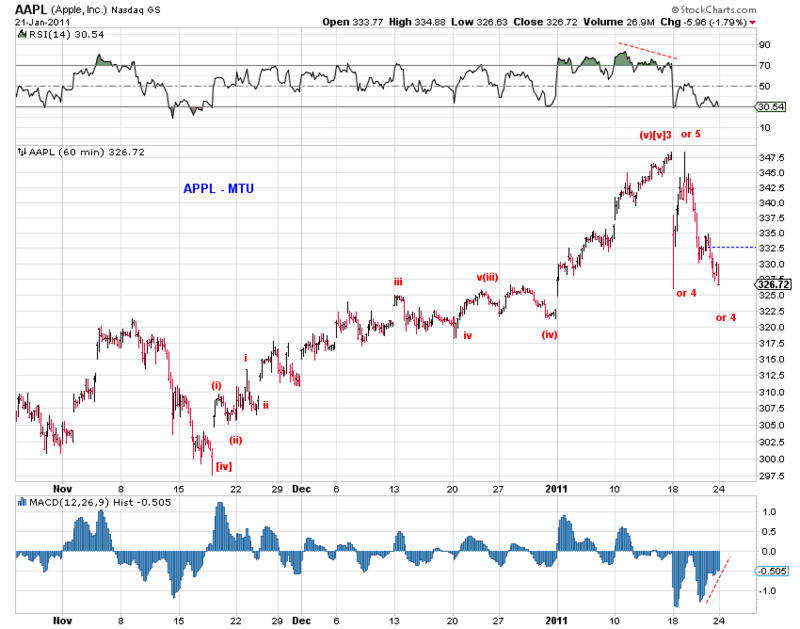 If so, we could have a volatile, sideways market that traverses a very wide range for years. 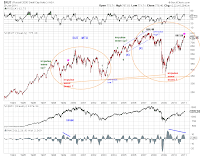 Specifically, the two circles in Chart 1 highlight the potential or the risk for history to repeat/rhyme itself at a larger degree thanks to the fractal nature of waves. 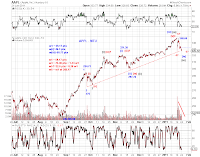 The two pink asterisks attempt to locate where we are within the potential market cycle - i.e., at the end of an initial deep-retracing zigzag with wave C of the zigzag much shorter than its wave A. 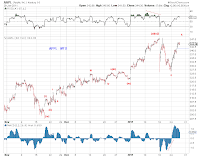 If history repeats itself, a meaningful pullback after the current advance ends (see below) could be followed by a sharp advance likely mirroring the late-1999 to early-2000 melt-up. 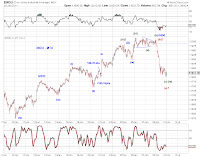 The advance is bullish in price terms while being corrective in terms of the larger wave structure (i.e. 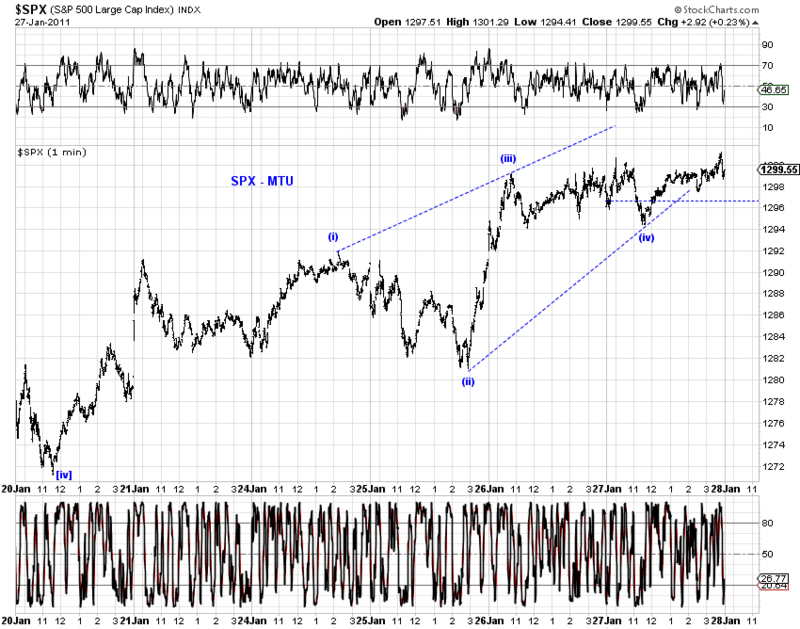 no subsequent follow-through, only reversal). 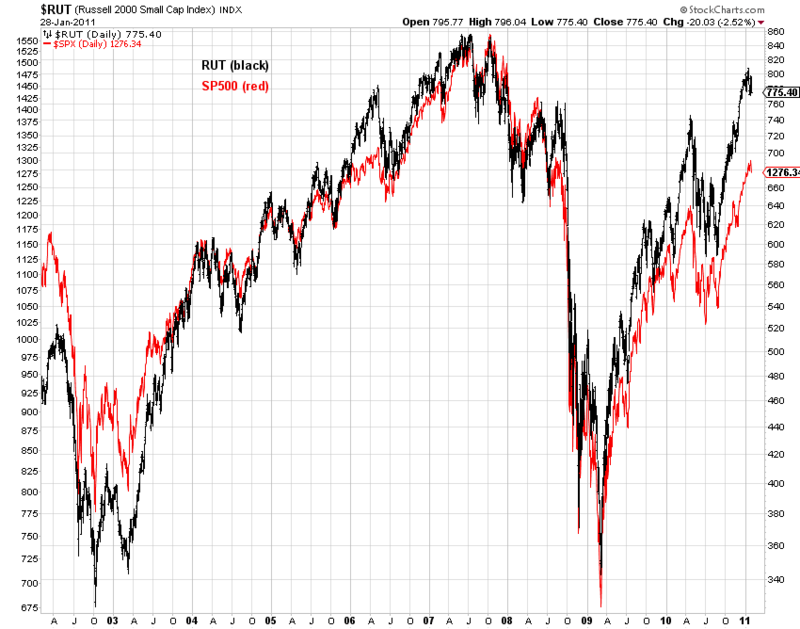 It should be noted that no such similarity can be observed in the broader market (e.g. 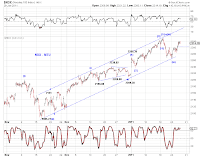 SP500 which is shown in the lower panel in Chart 1). 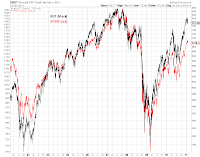 However, given that the trajectories of SP500 and RUT are nearly identical since the 2002 low (Chart 3), it's prudent not to discount continued correlation between the two indexes for the foreseeable future. 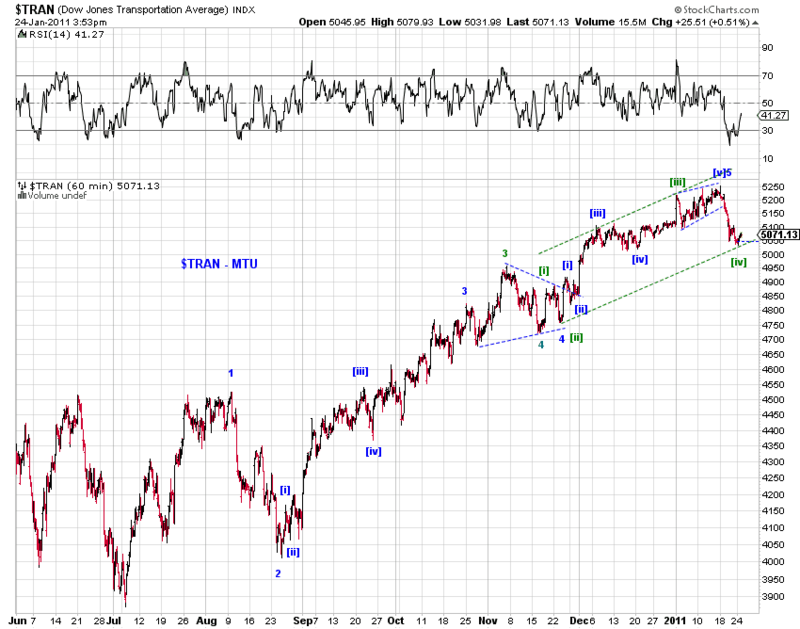 More importantly, the similarities in wave structures are the most relevant. 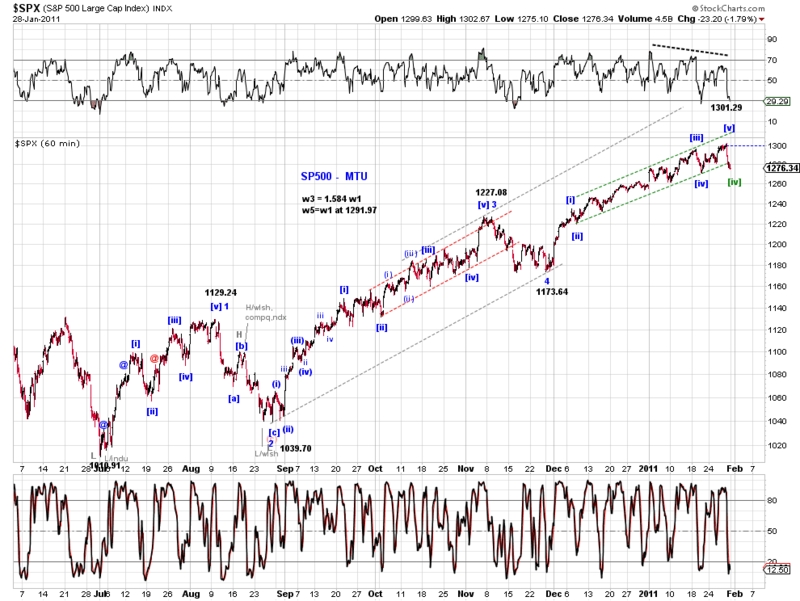 Today's high is a convenient place to complete the advance since the July 2010 low in many aspects. 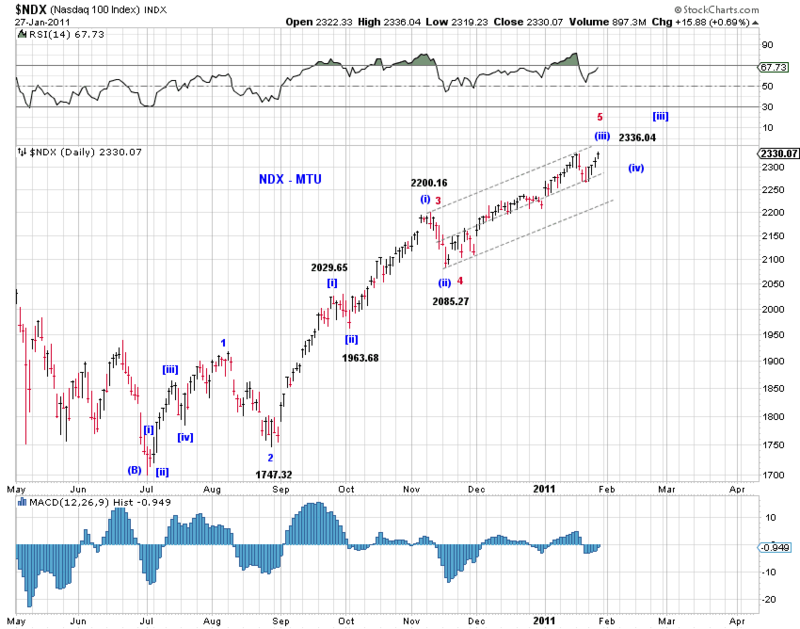 However, it is also probable that today's impulse wave decline is still part of wave [iv] of wave 5 in INDU and SPX since the July low. 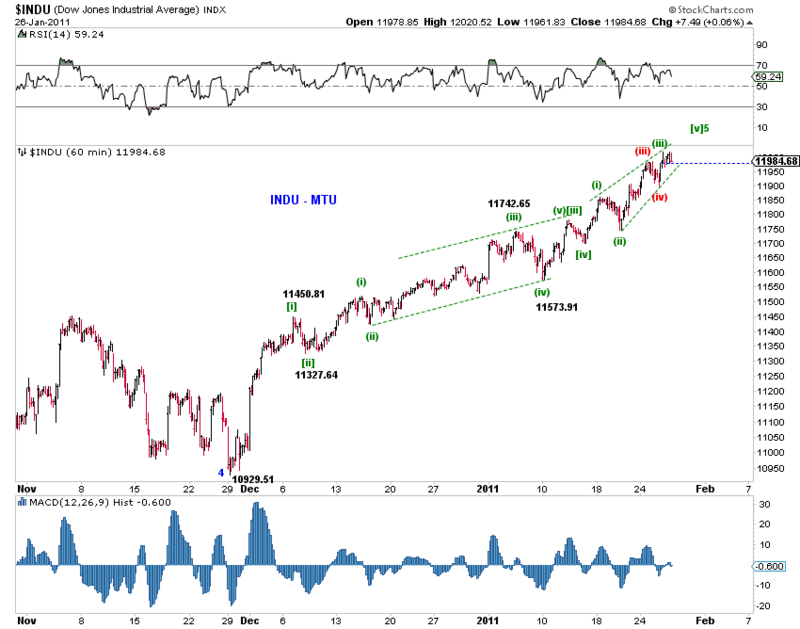 See the competing counts on INDU, SPX and NDX below. [725am] Overnight update - Final stretch, but a matter of degree. 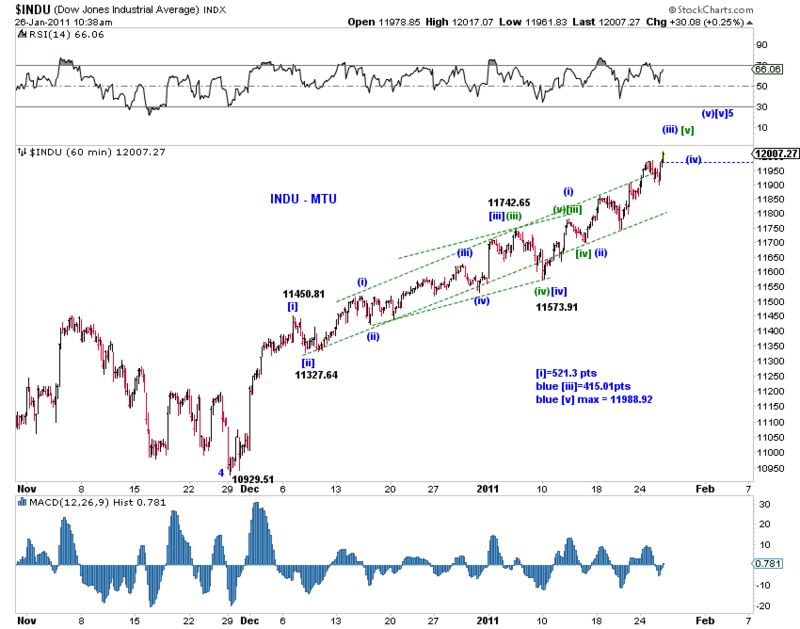 [NDX] The squiggle count on NQ assumes the red count in NDX cash (The bullish blue count cannot be discounted at the moment). 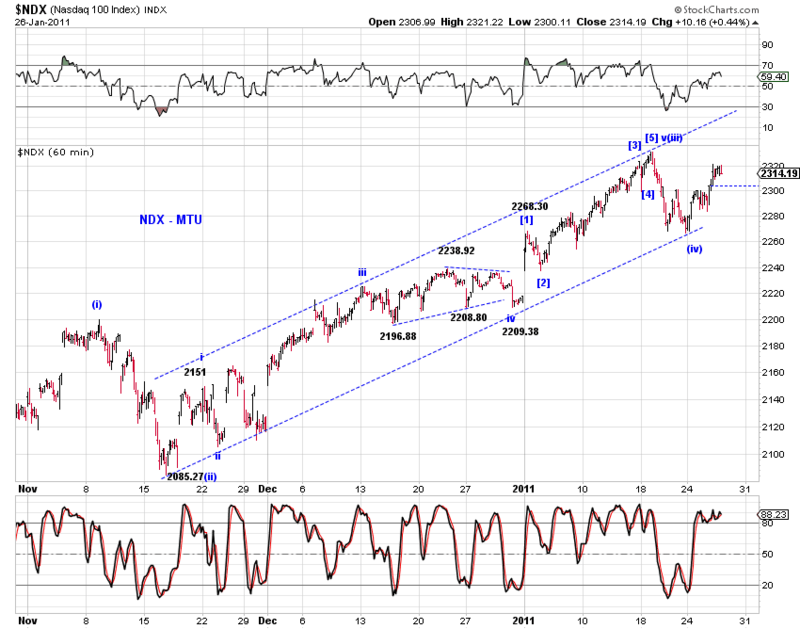 It may even be possible to have a truncated [v] of 5 in NQ. 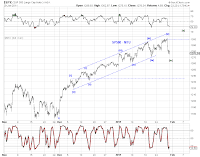 [EOD]The squiggles proposed yesterday are still tracking and there's no change in the larger count. 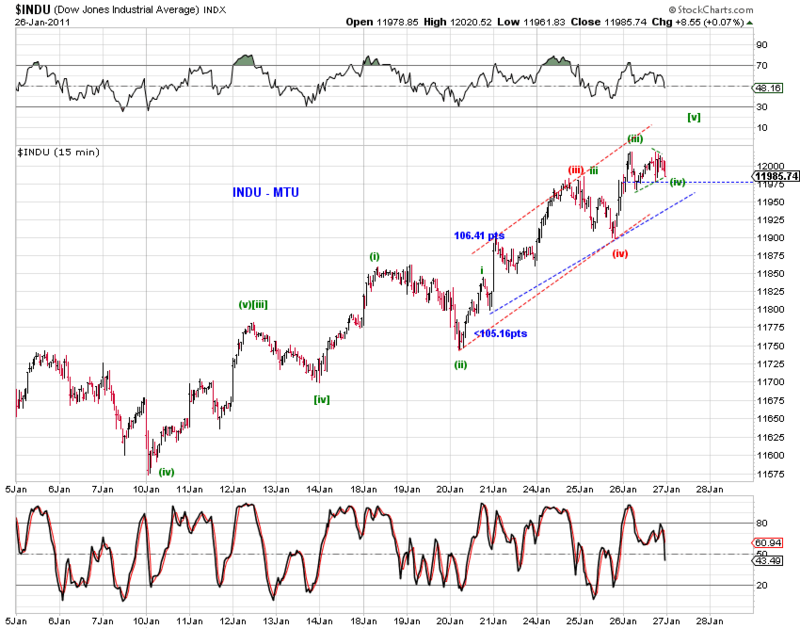 INDU has likely traced out a triangle over the past two days and SPX a flat. 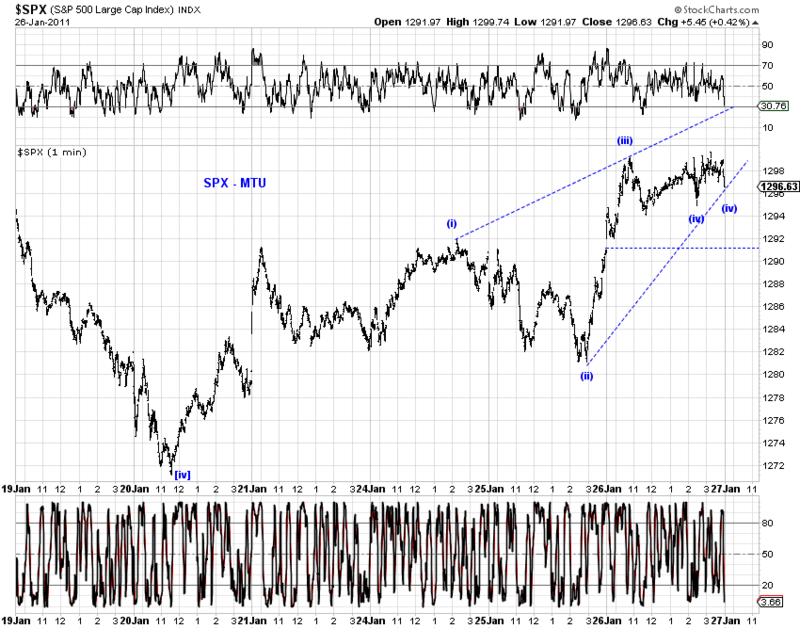 Note also that the proposed wave (iii) of [v] is shorter than wave (i) of [v] in SPX. [v] of 5 likely in progress in ES. The alt count is a triangle/complex three/flat [iv] of 5. 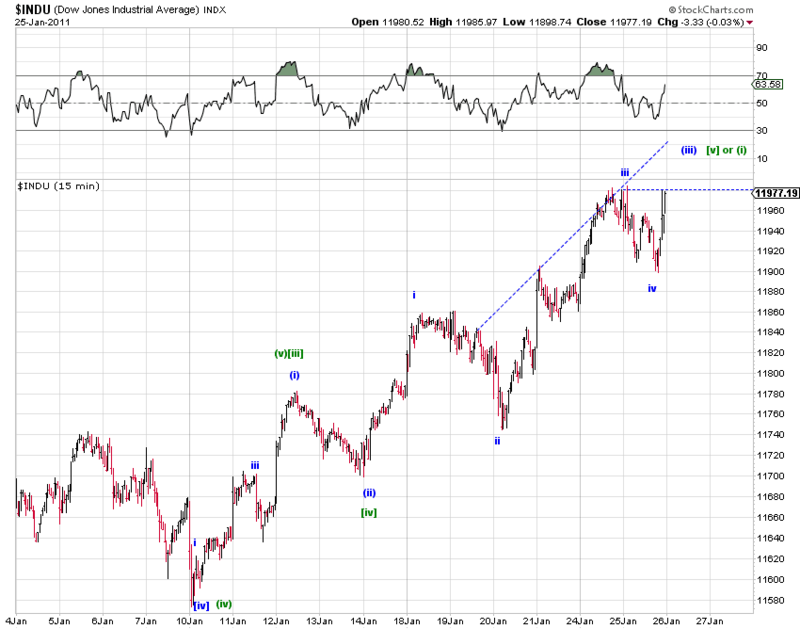 The blue count is rejected as INDU exceeded the max level. That leaves us the green count. 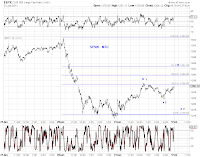 assuming no extension ..
An update for various short term counts in ES in Chart 1. 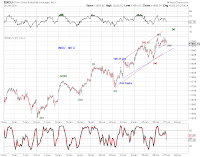 Chart 2 maps the two counts on INDU discussion in yesterday's update onto YM. 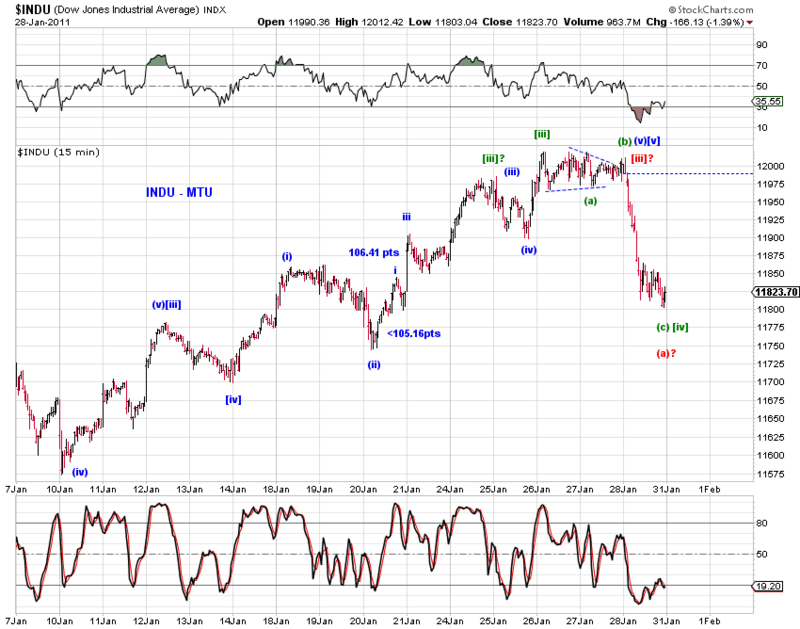 The overnight high has fulfilled the minimum requirement of a top per the green count if it does not extend. 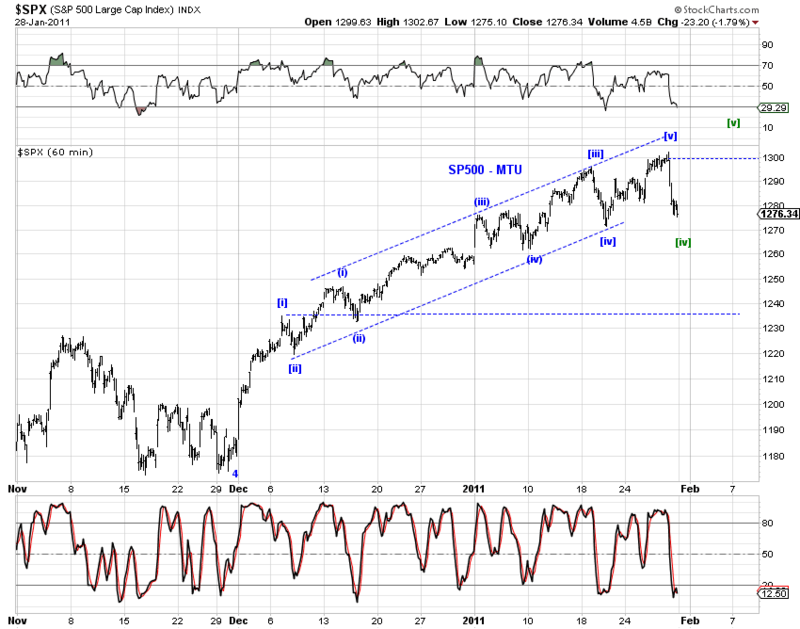 The blue count has one more down-up movement which accommodates a post-Fed spike. 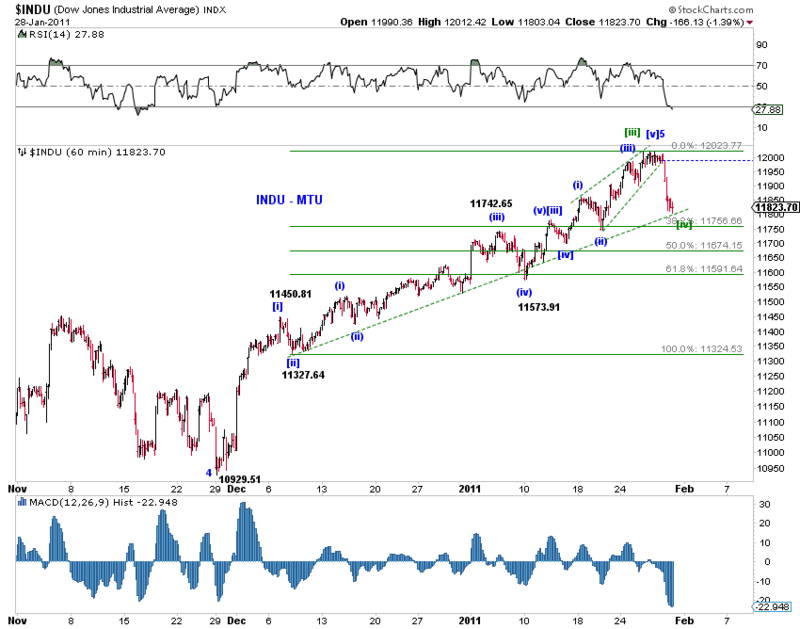 [EOD] The wave structure in INDU may be informative (Chart 1). 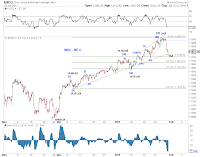 First, if the green (v) of [iii] does not extend and the green [v] of 5 does not extend, this afternoon's advance is likely the final subdivision (Chart 2). If there should be another extension, one would have continue to count upwards. 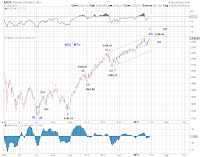 Second, the pending peak is (iii) of [v]5 according to the blue count. 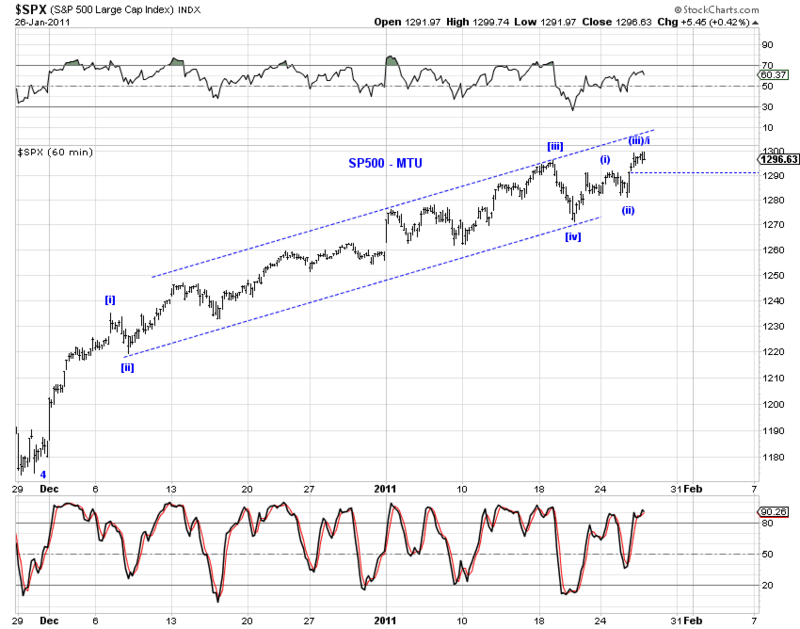 However, the maximum upside for the blue count is 11988.92 as noted in Chart 1. 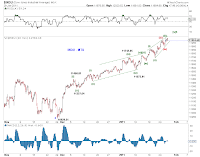 Chart 3 counts the squiggles in ES. 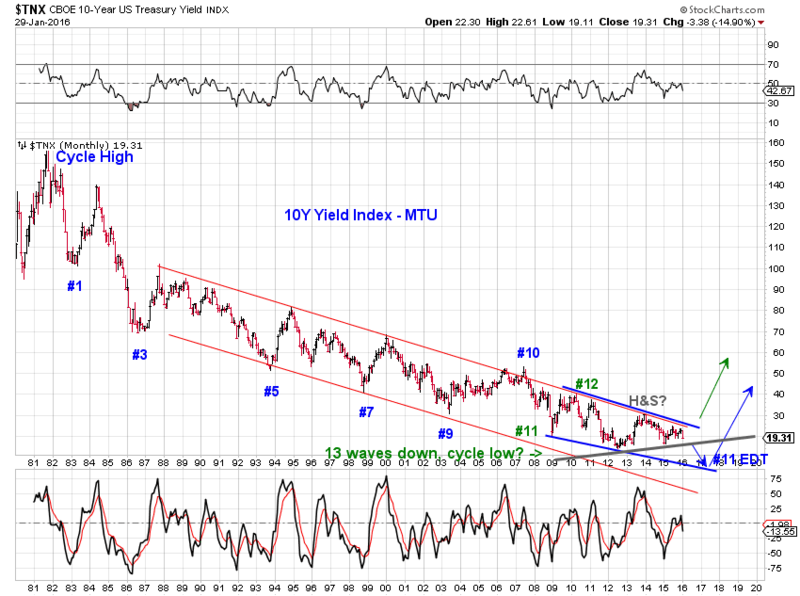 Chart 4 counts the long bond. We have a small-degree five-down in the ES squiggles. 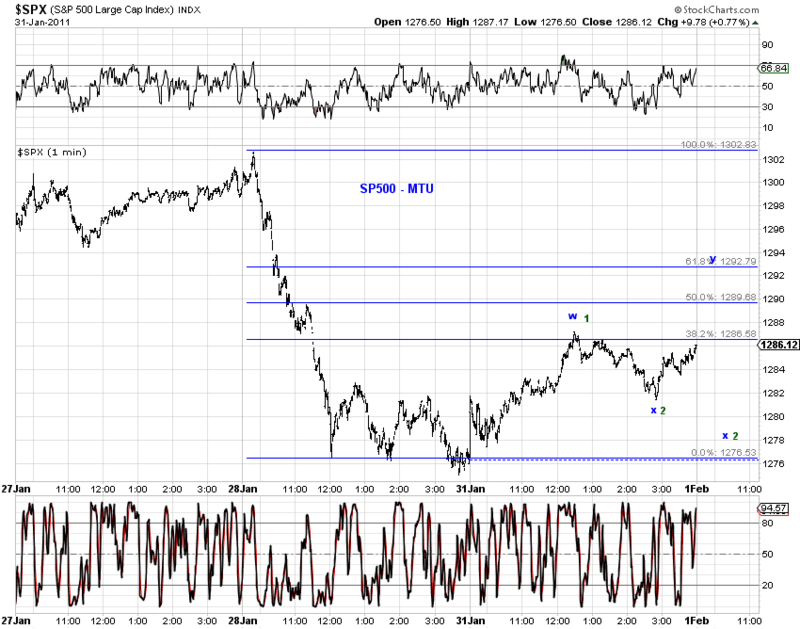 The three top scenarios are indicated on the chart. 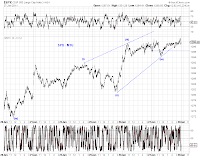 The wave structure of INDU may be revealing an extended wave [v] of minor wave 5 based on the blue count in Chart 1 (right). 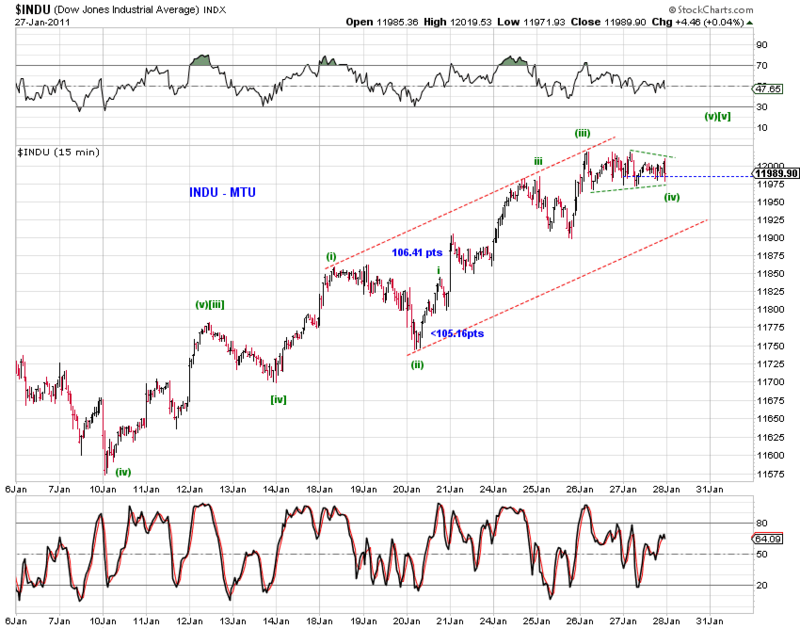 Maximum upside potential is 11988.92 as wave [iii] is shorter than wave [i]. 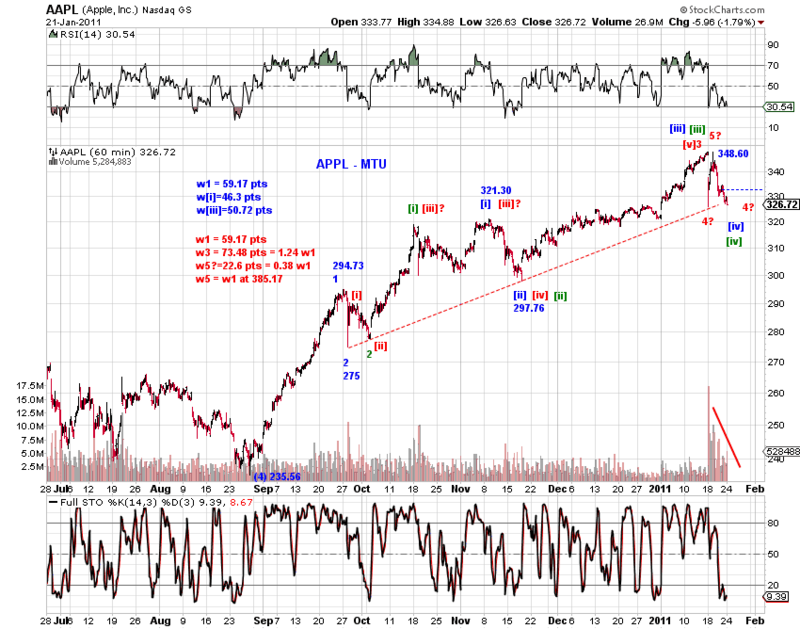 This count also applies to SPX. The green count is another primary possibility. 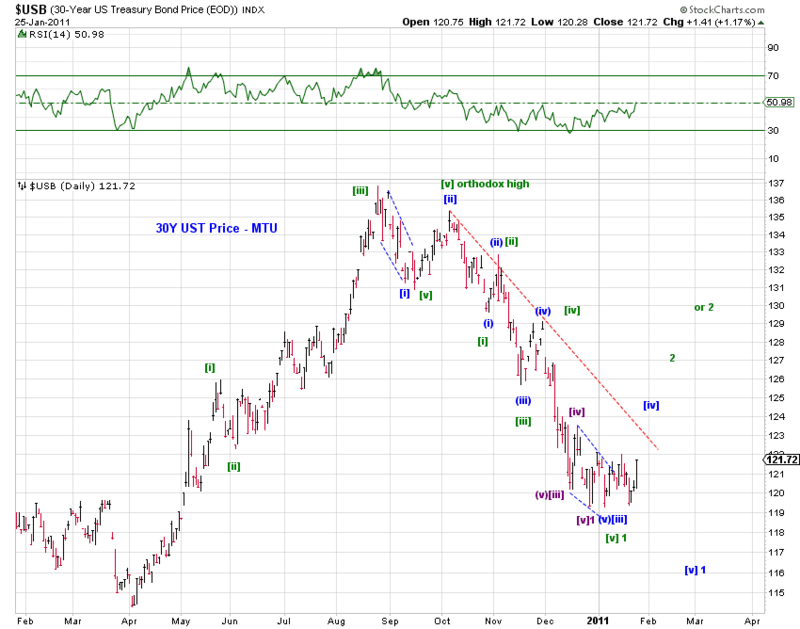 One should leave room for the green wave [v] of 5 to extend as well. 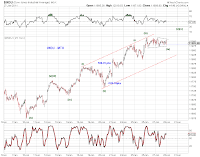 Chart 2 to Chart 4 update top counts in SPX, NDX and Transports. 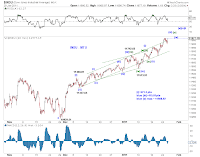 The wave structure of Apple, which represents around 20% of NDX, suggests further upside potential under normal circumstances, although the minimum requirement for a top was met at the recent high. 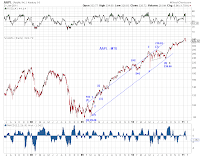 Chart 1 to the right shows the larger wave structure of APPL, which has launched wave (5) of  or wave 5 of (3) of  at its August 2010 low. 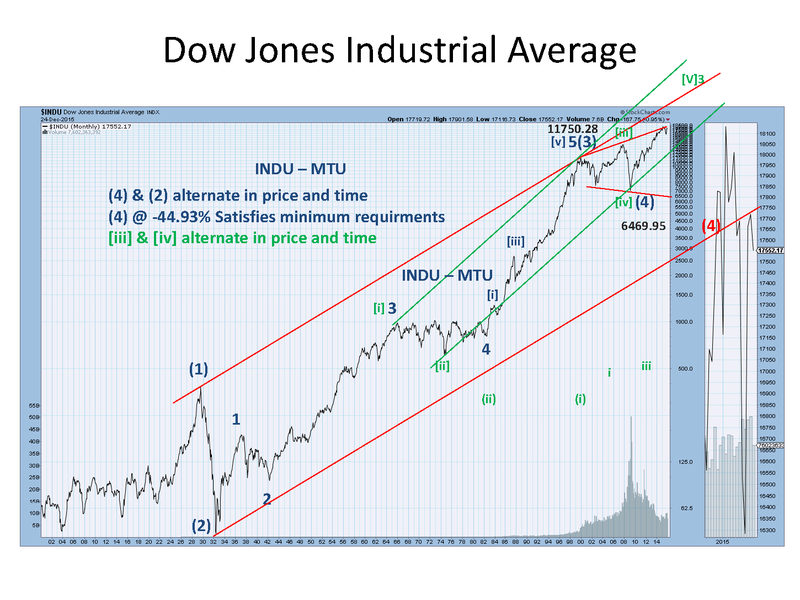 As Chart 2 below shows, the count with the best look and feel is the green count, followed by the blue count. 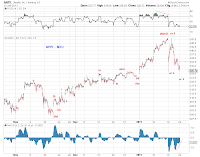 To satisfy the cardinal rule that the 3rd wave in an impulse wave cannot be the shortest, the current decline is most likely a 4th wave correction. 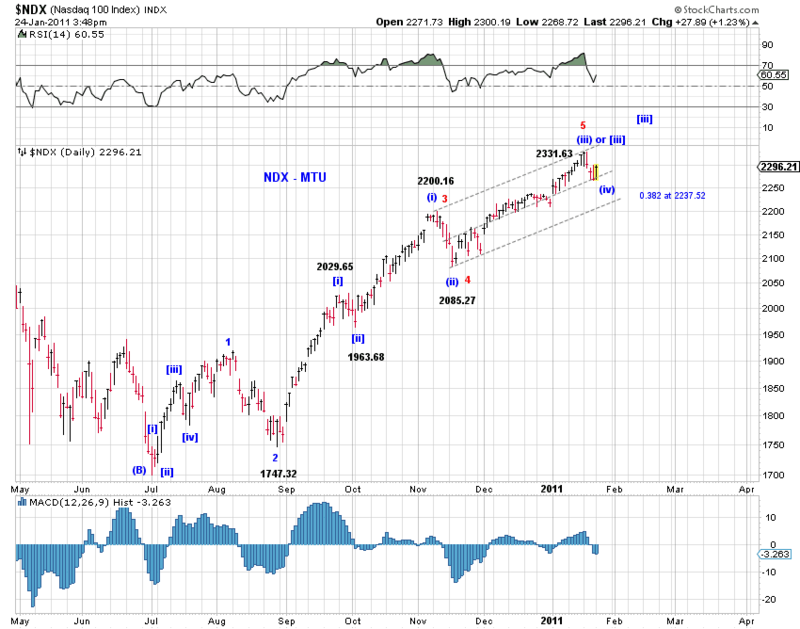 While the wave degree of that 4th wave at the August 2010 low is ambiguous (4 of (3) or (4)? ), the advance since then may not be complete. 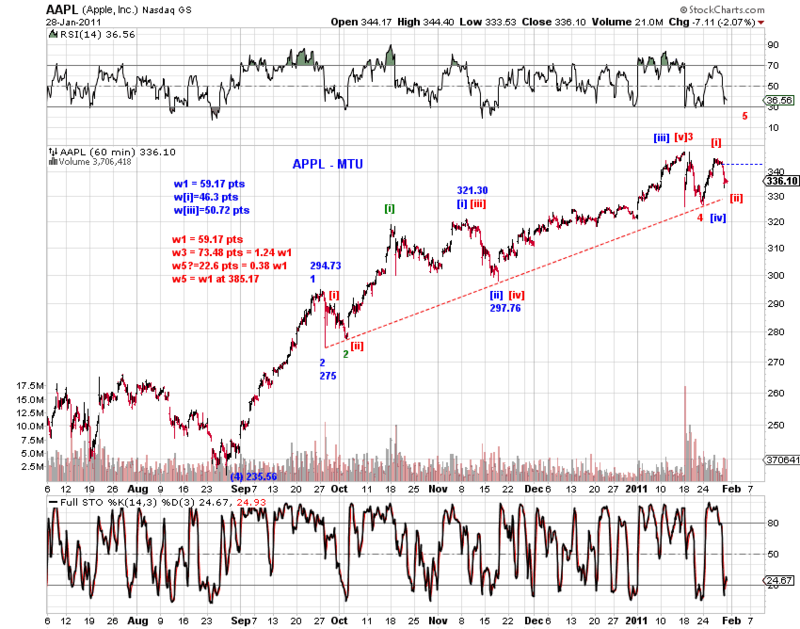 If APPL has further upside potential, so does NDX and probably the general market. 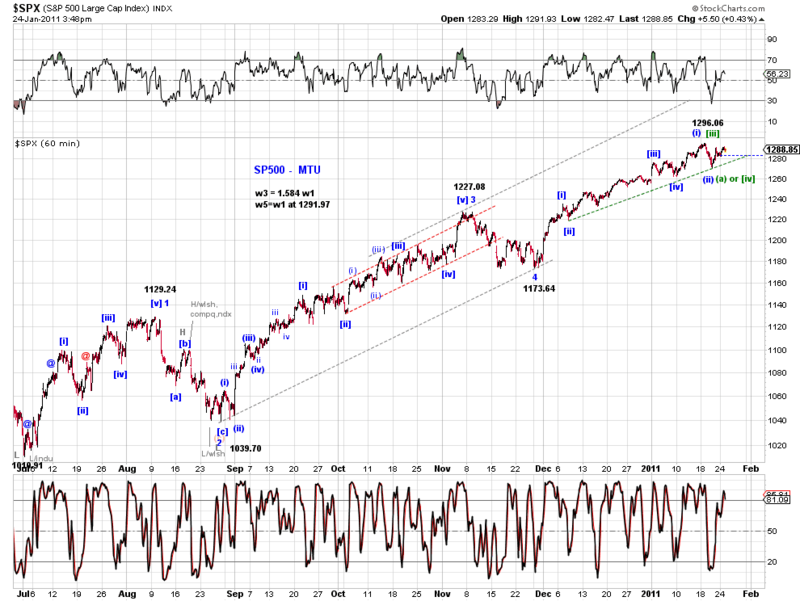 It should be noted that the minimum requirement for a top WAS met at the recent high. 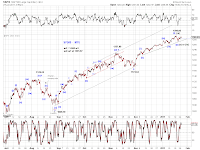 As far as I can see at the moment, the red count in Chart 2 offers the only way to count the recent high as the top. 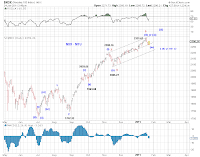 Chart 3 offers a squiggle count since wave [iv] of 3 of (5) under this interpretation. 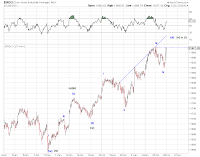 - as well as in its magnitude which is 22.6 points or only 38% of wave 1.